CHICAGO – Antidepressants significantly raise the risk of internal bleeding, finds a new study. Patients taking anti-depressant medications classified as selective serotonin reuptake inhibitors (SSRIs) are 40 per cent more likely to develop severe gastrointestinal bleeding, particularly when they also use common over-the-counter pain relievers, according to a research review in the Journal of the American Osteopathic Association. SSRIs are used to treat major depression, anxiety disorders, obsessive-compulsive disorders and post-traumatic stress disorder. A signi?cant portion of SSRI prescriptions are written by primary care physicians. 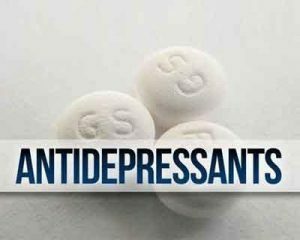 Nearly 13 per cent of Americans 12 years and older take an antidepressant, and SSRIs are among the most frequently prescribed because they are relatively low-cost, effective and safe. However, they also carry risks for gastrointestinal and intracranial bleeding that compound when taken with other medications. The most common and concerning interactions occur with nonsteroidal anti-inflammatory drugs (NSAIDs) including ibuprofen (Advil, Motrin) and naproxen (Aleve), anticoagulants like warfarin (Coumadin) or antiplatelet medications such as aspirin and clopidogrel (Plavix). “The real risk comes from the assumption that each of these drugs is relatively safe and benign. But they all carry a risk for bleeding, and that risk increases when these medications are taken concurrently,” says lead author Wei Cheng Yuet, PharmD, assistant professor of pharmacotherapy at University of North Texas Health Science Center. While gastrointestinal bleeding is most common, in rare instances patients can develop intracranial bleeding, which is a life-threatening event. Yuet says that the risk for bleeding is well established but not well known among patients. She encourages physicians to take a full inventory of the medications their patients take, including over-the-counter NSAIDs. Otherwise, Yuet says it is important for physicians to educate their patients on how to recognize symptoms of gastrointestinal bleeding, such as bright red blood in their stool or dark, tarry stool. She also recommends physicians monitor their patients closely for symptoms of gastrointestinal bleeding during the first 30 days of SSRI therapy, especially if patients are taking concurrent medications that may increase bleeding risk.